fine quality features! All animals are like those shown at lower right. hog and 2 pigs, turkey, and dog; they come in assorted colors. tor, plow, wagon, and automobile. your Easy Terms order? See page 174C for full information. 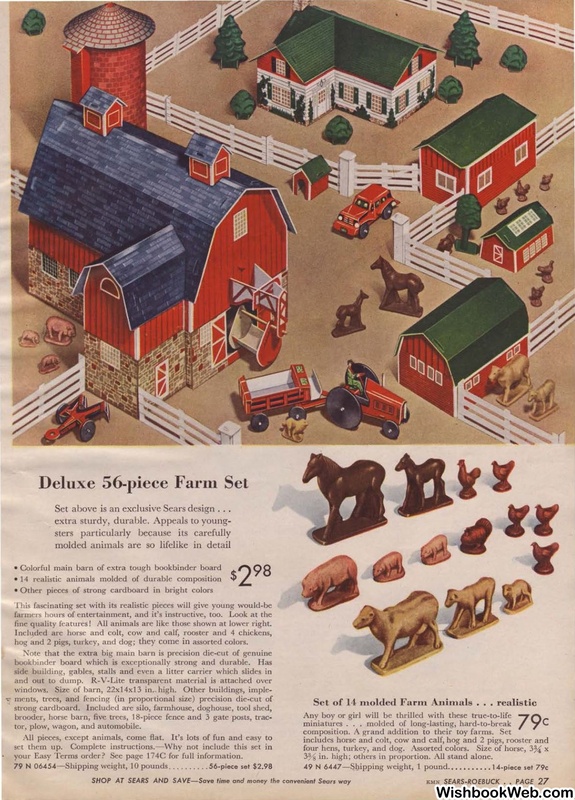 Set of 14 molded Farm Animals . 3% in. high; others in proportion. All stand alone.